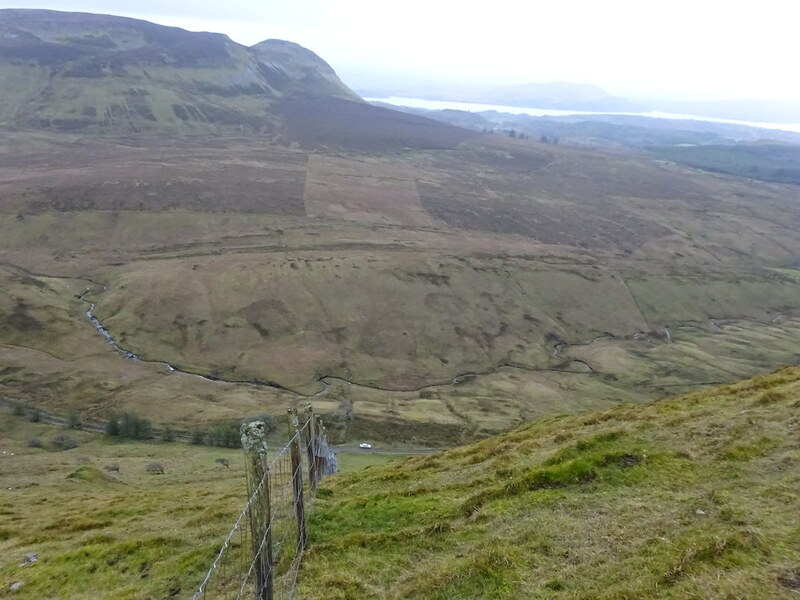 Tommy McGibney enjoys New Year’s Eve walks on Crockauns and Knocknarea in Sligo. 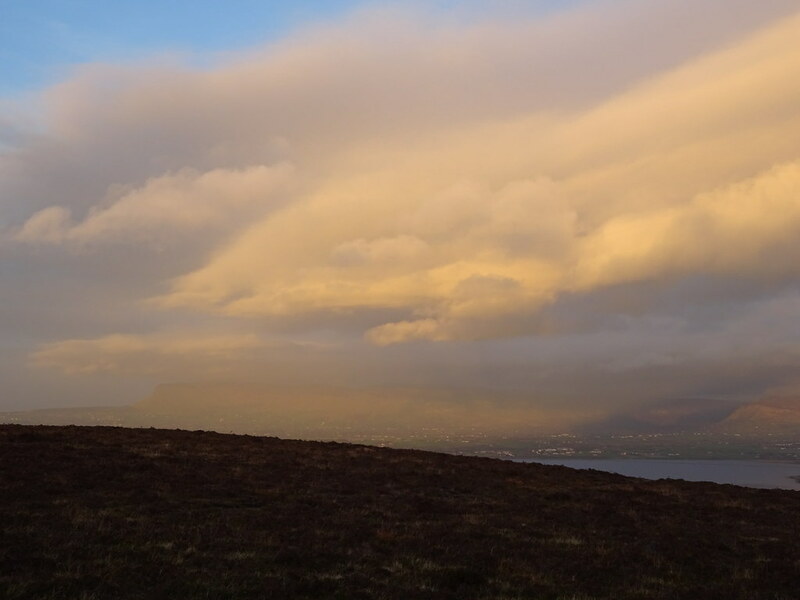 Finding myself at something of a loose end on New Year’s Eve, I drove to Sligo hoping to get some good walking done, after a quiet and largely inactive Christmas. The Yeats County boasts a good mix of upland and lowland walking routes and, although the morning skies were cloudy and somewhat leaden, I reckoned that if the weather held reasonably well at all, I should have a pleasant day outdoors. 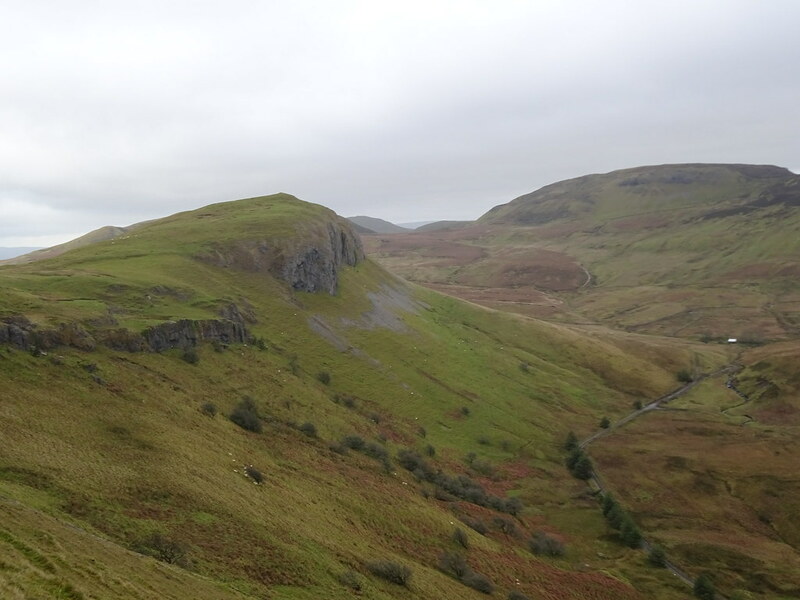 I first made for Crockauns (463m) a craggy hill overlooking the exceptionally scenic Glencar valley. I had no difficulty finding its access road (signposted ‘Kilsellagh’) off the N16 on the Sligo town side of Glencar and proceeded up a narrow road which winds around a series of low but very scenic hills. The route I had planned promised a short but very steep climb alongside a fence to an upland plateau and on towards the summit. I easily found a parking spot opposite an agricultural gate near my starting point and from there it was straight uphill, along the fence. 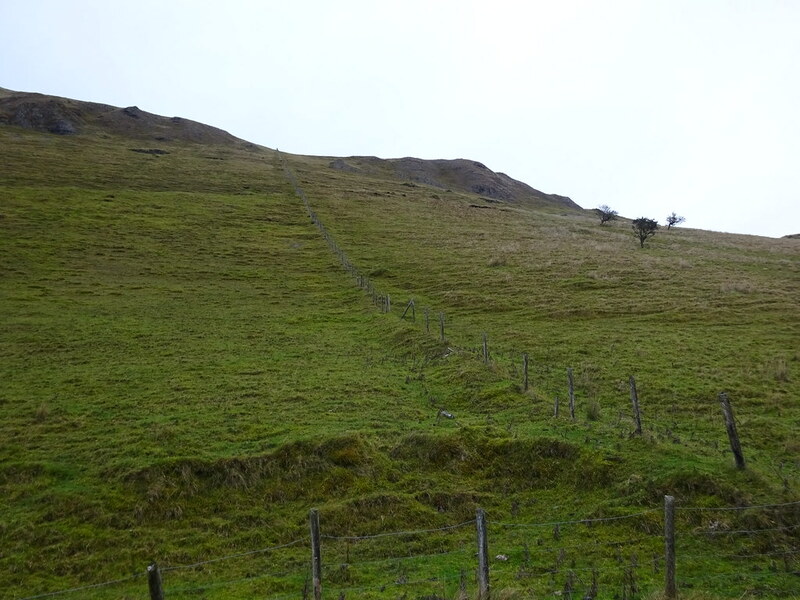 The early stages of the walk were fine but the going got progressively steeper as I climbed, so much so that I left my walking poles by the fence as they were by then a hindrance on the steep slope. Some amazing views began to open up as I ascended. My progress was slow enough and I took particular care going up, as to put it mildly, this wouldn’t be an ideal spot to slip or tumble. As I neared the top of the fence, the view downwards put into sharp focus the steepness of my ascent. 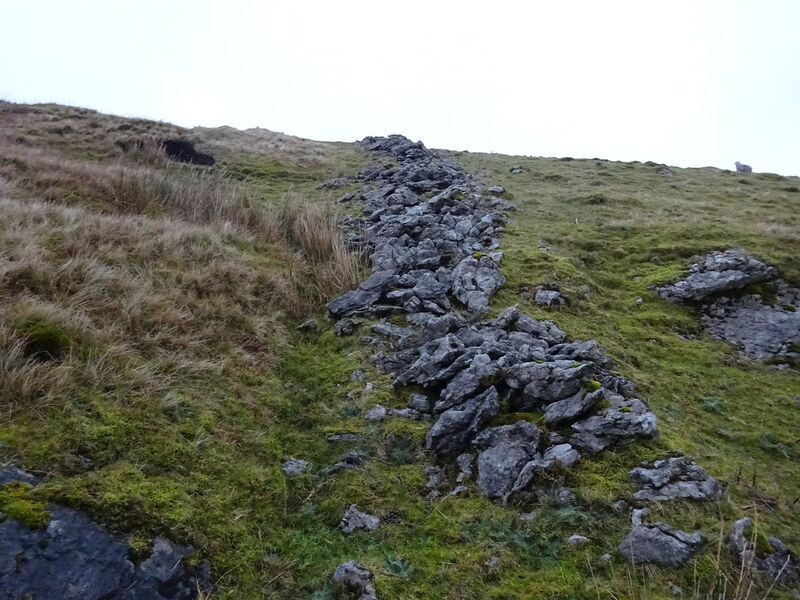 Once past the fence, I found a old and broken wall that guided me towards the mountain summit. The summit soon came into view although I had to dodge a number of very wet spots in order to reach it. 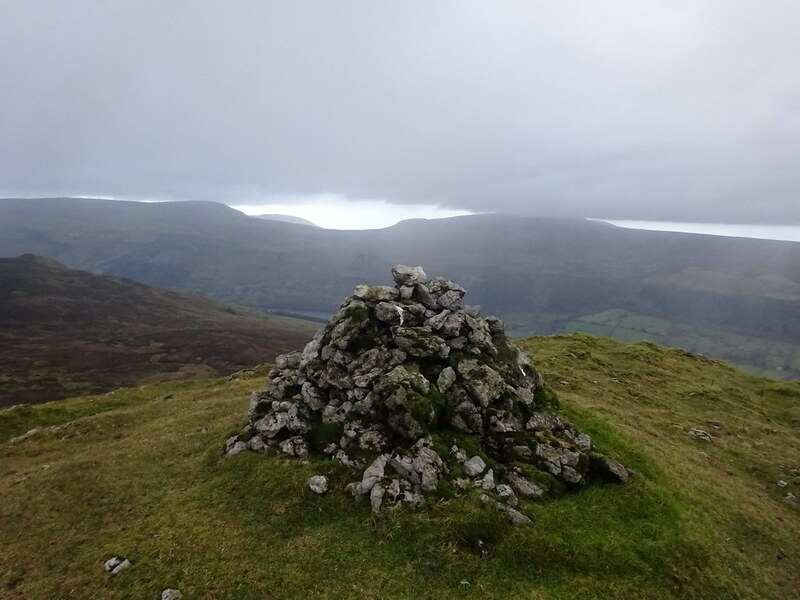 The wind was howling and clouds circling when I reached the summit cairn and savoured extensive 360 degree views of the surrounding mountains, Sligo Bay and the Atlantic. My descent was thankfully uneventful and although I had to take care on the steeper sections along the fence, I found it a lot more enjoyable than the ascent. 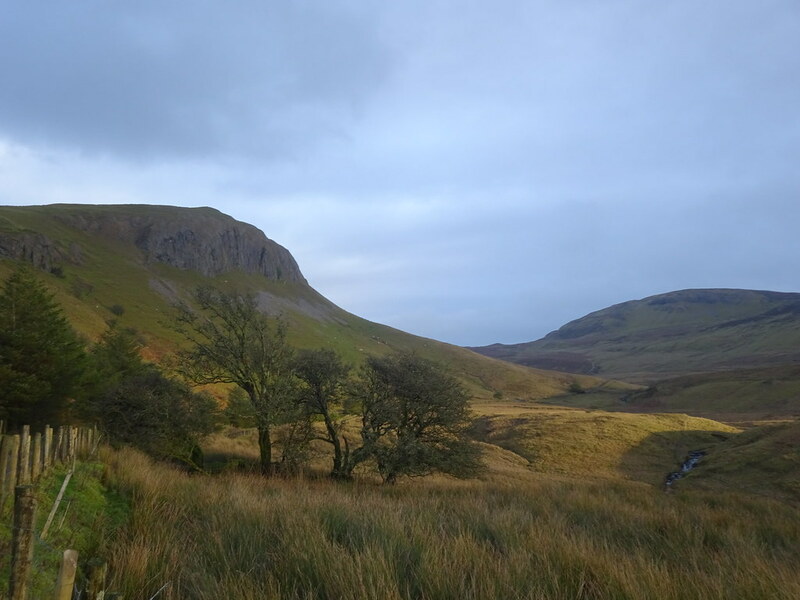 As I picked up my walking poles, the skies suddenly brightened and bathed the hill in lovely winter light, and the valley was positively gleaming as I returned to my car. 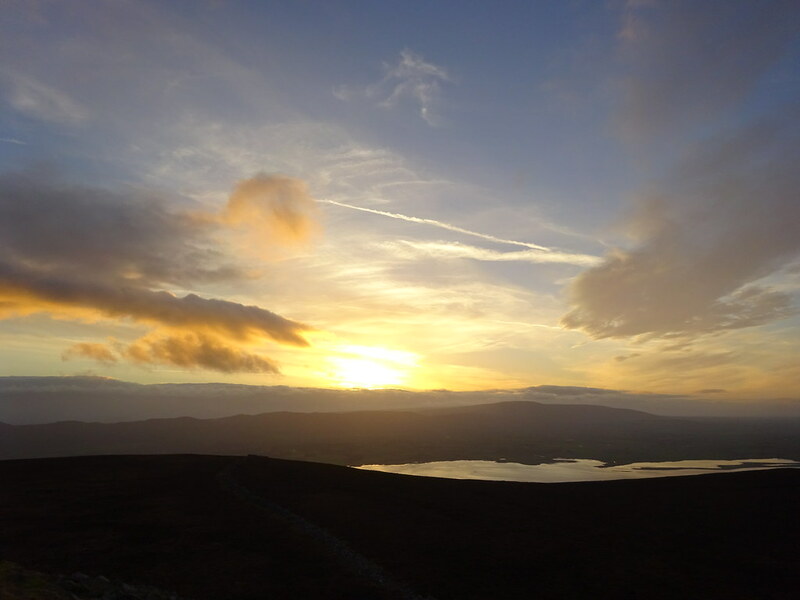 With the sun shining I decided to make for Knocknarea (372m) the landmark mountain overlooking Strandhill upon which stands a huge cairn, reputed to be the burial place of Queen Maeve. This is a very popular walking destination for Sligo folk, with a decent path, car parking, and even a hut selling tea, coffee and crepes. 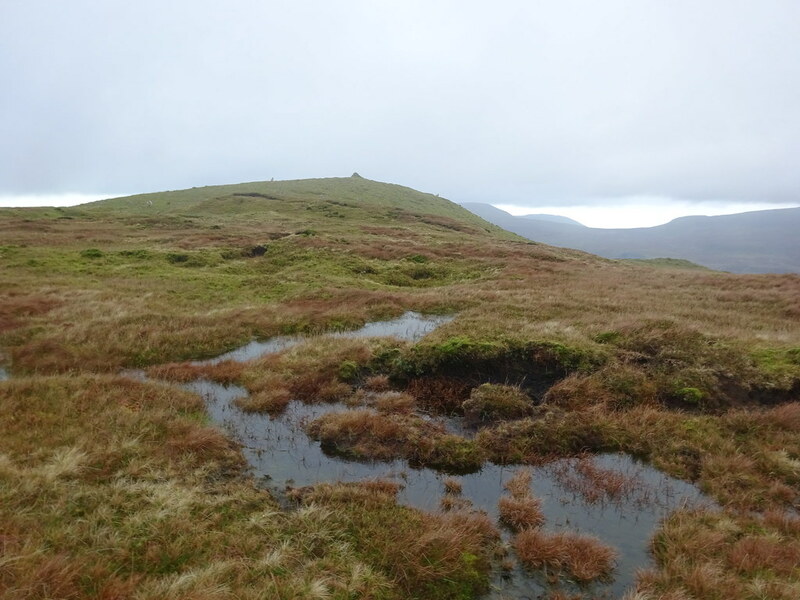 The easy and gradual half-hour walk uphill was a big contrast to the deserted steep slopes of Crockauns. The beautiful afternoon made for some sublime views on the way up. 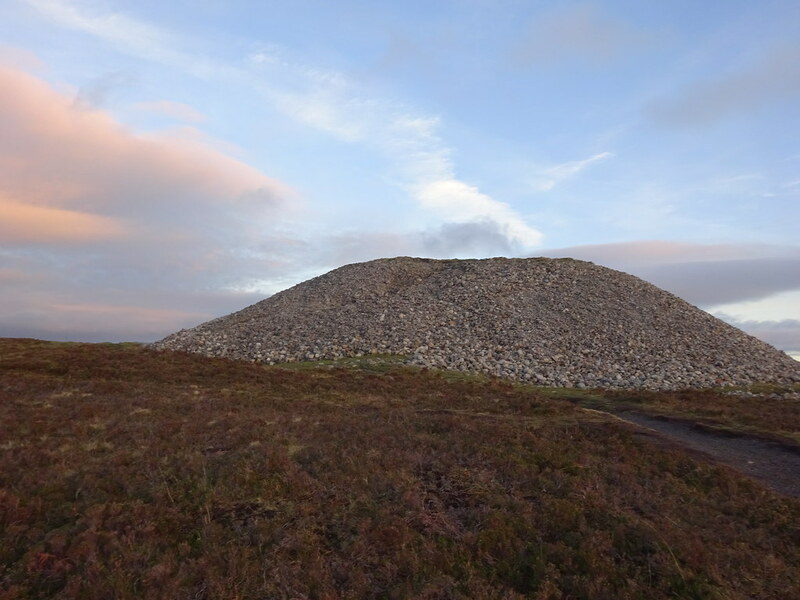 The cairn at the summit is a remarkable construction and thankfully appears to be in very good condition. It made an ideal location to enjoy the last sunset of 2018. Here’s to many more of them.